By Krista Seddon, YWCA of Australia. 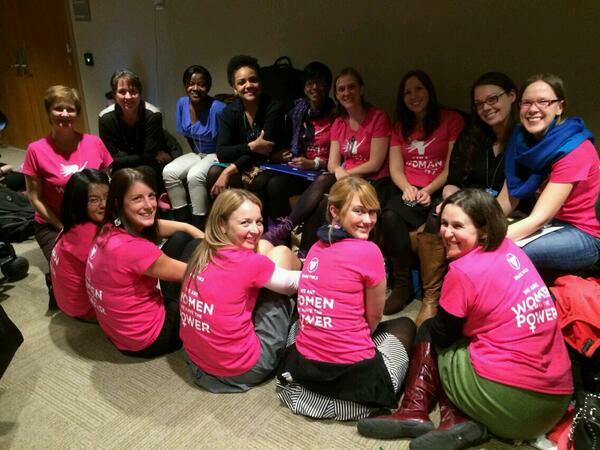 Krista was part of the World YWCA delegation at CSW 58 and shares with us her reflection of this experience. My name is Krista Seddon I am 27 years old and I recently attended the 58th Commission of the Status of Women at the United Nations in New York. I was selected to attend through a competitive selection process along with 8 other women on the YWCA Australian delegation. • Ensuring Gender Equality remains a standalone goal in the post 2014 development framework and mainstream gender across all targets. • Ensure young women have control over and decide freely and responsibly on matters related to their sexuality including sexual reproductive health and rights through comprehensive information, education and services. • Ensure meaningful participation of young women in decisions that impact their lives and in all sectors. • As a faith based organization, provide an alternative view that advocates for the powerful and positive role religion can play in ensuring women’s empowerment. In the second week the focus changed to the government negotiations on the Agreed Conclusions. The final document that is produced each year is agreed by all member states. This document was especially important this year because it sets the governments commitments to the new Sustainable Development Goals or Post 2015 Development Framework. The MDGs were a driver of change, funding and advocacy since 2000. The new framework must put gender at the forefront. A powerful moment for me was during the final negotiations on the last day and the chair of CSW allowed members of civil society into the closed negotiating room. It made me realize the importance of civil society and NGO’s being present and participating. We hold governments accountable and we played a part in making sure the governments reach a conclusion. The YWCA and our advocacy messages are important voice in combating the conservative views of the religious right and other organizations that with to cut back women’s rights, services and freedoms. A highlight for me was being part of the World YWCA team. The YWCA embodies a feminist model of leadership that is about being inclusive, connected, sharing power, intergenerational leadership, being accountable at every level, modelling ‘next practice’ and being grounded in a human rights based approach. The World YWCA shared power; throughout the two weeks there was never one leader. The YWCA practices a shared model of leadership; building on peoples strengths a working collaboratively to achieve the outcome. The model is successful because it recognizes that everyone is a leader in their own right. We had a clear shared vision; we participated in a training day before we started the conference and we’re trained in the key advocacy messages of the organization. We practiced our ‘elevator pitch’. We were given advocacy materials to support our work. We were given advice, guidance, encouragement and mentoring. As a young woman I felt empowered through the opportunities and safe spaces the organization to explore their own leadership potential and take on responsibilities. I am so grateful for the intergenerational leadership and mentoring; all of the young women were paired up with a more experienced mentor. It was explicitly stated that the relationship would be a two way learning process. This was a powerful dynamic that supported the execution of the advocacy strategy. On the final day of negotiations, large numbers of civil society were camped out near the entrance of the closed negotiation room. As an important reflective process but also a political maneuver, the YWCA did an ‘affirmation circle’. This is where you sit down in a circle and in turns go around and celebrate the unique and wonderful attributes of each member of the circle. What do they do well, what do they bring to the group, why you appreciate them. After two weeks of 16 hour days and high emotions, you can only imagine how this played out; we were all a blubbering sweaty mess. But what was fascinating was how it changed the energy in the hallway. People wanted to sit near us; they wanted to take photos of us. It was powerful because it changed the tide of negativity that was building around the negotiations and we created a positive environment that people wanted to be apart of. My vision for the future of the World YWCA is for the Y to operate in every country around the world. I hope that it will expand and provide grassroots leadership development to a generation of young women so that in 20 years time, every sector will have a strong and fantastic female leader, who can attribute her skills and leadership to the YWCA. I love the Y and I will stay a member for the rest of my life.